Suitably fermented liquid grapes, I hope. During college I had a part time job working at Hickory Farms in a local mall. They sold a Colby Longhorn Cheddar that, at room temperature, tasted like butter. Just amazing. I ended up broadening my cheese-horizons except I won't eat blue cheese, ever. It's mold, people! No good can come from it! I fell in love with Emmentaler Swiss cheese even though it gives me bumps on my tongue (TMI ...fresh pineapple does too) when I eat it. When I was in college, there was a relatively upscale grocery chain in Memphis called Seesel's. They had what was, to me at that time (the late 70s), a fairly extensive cheese collection -- that is to say, beyond the red rind hoop cheese and the packaged Kraft varieties we got in smalltown Tennessee. 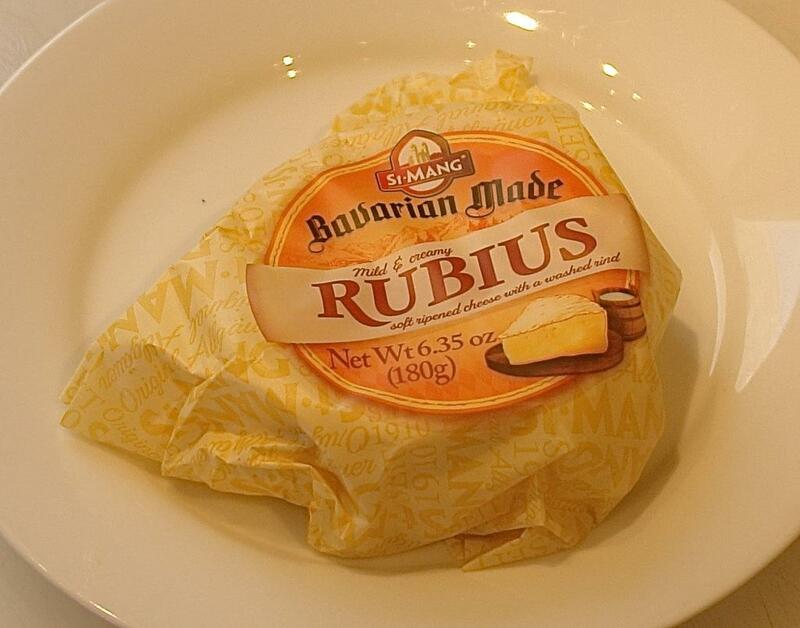 I discovered Gruyere cheese, which to this day, I love to eat with a sliced apple and some sweet gherkins. If you liked the cheddar sold at Hickory Farms back then, you will LOVE the Coughar Natural Cheddar from Washington State University. They also have the Cougar Gold but the closest to the Hickory Farms product is the Natural. The 30 ounces will last a few weeks unless you use it for mac and cheese - I used to order two at a time - it keeps beautifully as long as the can is not opened. I often would bake a baguette, split it in half lengthwise, use a fork to pull out much of the crumb (staled to use as bread crumbs) and spread the interior of the crust with the Cougar, cut it into segments, consume some right away and later reheat it in the oven for a snack or an accompaniment to soup. 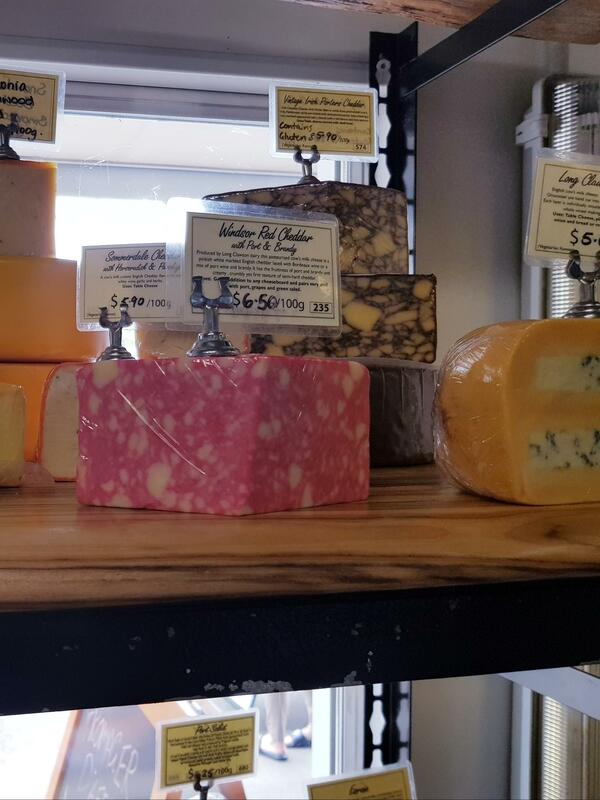 I took a picture of these Cheeses because they were visually stunning. Personally I don't like flavoured hard/semi Cheese, but love flavoured Cream Cheeses. Are there any hard ones I should be brave and try? Personally I don't like flavoured hard/semi Cheese, but love flavoured Cream Cheeses. I recommend the cheese flavoured ones! Sage Derby is a nice "gateway drug" if you can find it there. It's got a nice herbal flavor to it, and the veins in it are green rather than some sort of disturbing red or purple, so it's perhaps a bit easier psychologically. 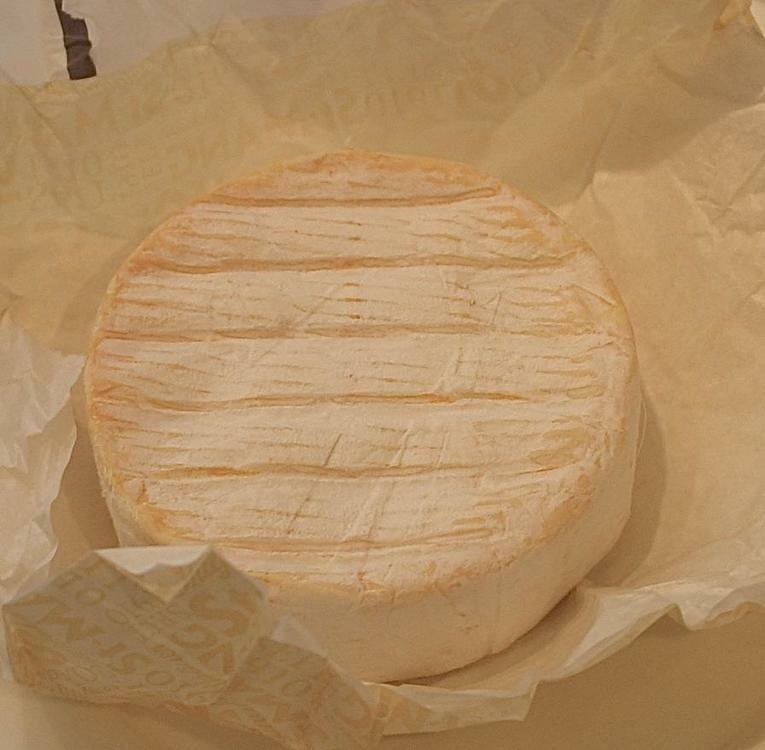 I like “drunken goat” cheese which is semi soft, they bathe the exterior rind in red wine while ageing. 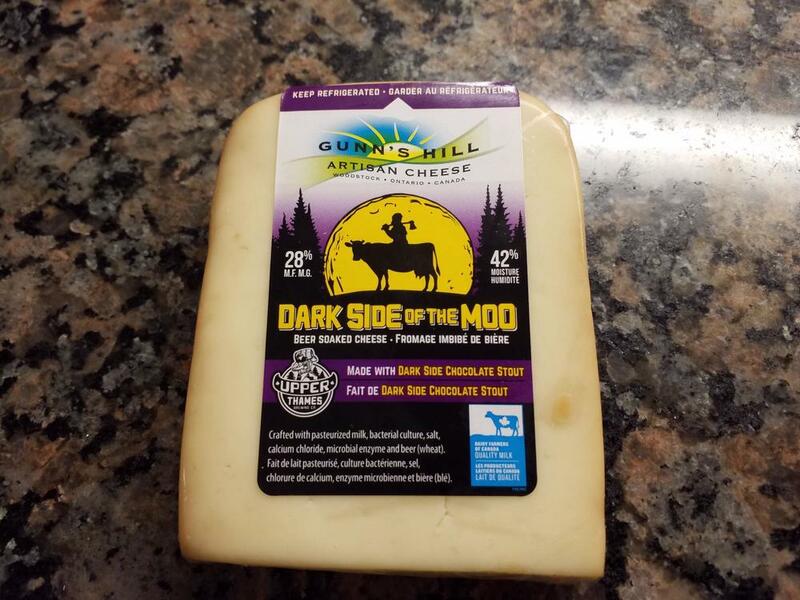 An applewood smoked cheddar with caramelized onions can hit the spot. I honestly believe that they are the best cheesemakers in Vermont. It is very likely that I am late to the 'OmgPortSalutIsAnAmazingCheese' party. But I feel it is my public duty to hand out invites to anyone else who may have missed this French Semi Soft Cows Milk event. I am a fickle being and this is the Cheese I cannot do without. For right now. Yeah me too. I eat mostly cheddar or sometimes, when I'm feeling wild, pepper jack. I saw habanero jack at Harris Teeter once, but wasn't able to get back there before I broke my hip. I do like brie when warmed, but I like a mild brie. If it gets too old, it will put me off. There is nothing better than mild brie heated enough to become liquid that I can spread on a slice of baguette. I used to get mine at TJ's and haven't been able to get there in several years, so I miss that. I like queso fresco and cotija in some Mexican applications. And yes, I am a Philistine who appreciates good American cheese from the deli in a queso dip with a bit of onion, tomato, jalapeno, and cilantro in a white cheese dip with tortilla chips. This is thinned with a little milk if you have it or water if you don't. Sometimes the juiciest tomatoes will provide all the liquid you need. Oh, and of course parmesan. 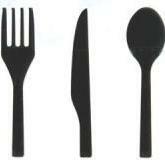 That is always in my kitchen. Mozzarella for pizza or over the top of a baked pasta dish, but you know what, provolone, (a young one for my taste) or muenster also work very well for these applications. I do love cheese and am always willing to expand my horizons, but I find myself preferring much less stinky cheeses than some do. Hoop cheese here is a mild to medium cheddar style that I like quite a bit. It usually comes in big red wax-covered wheels with the wax over cheesecloth. I love this cheese, but I don't think the eG crowd would find it adventurous. It seems to melt a little creamier than cheddar, but otherwise is very similar except it is not made with salt, so it spoils much quicker than cheddar. Here's a link to to more information. Here we can buy it in plastic-wrapped wedges in the meat case next to the ground chuck. It does melt great on a cheeseburger. Cottage cheese is not a substitute. Cheddar will work, but I wouldn't go sharp. Mild might work better. I just saw @lemniscate's post and realize that she/he is right. Colby longhorn is the closest thing most folks can get to hoop cheese. The teeny holes, the creamier melting, the lower salt than cheddar. That is the correct answer! If you are still looking to make some of these hoop cheese recipes from your book leminscate has the right answer, and you will probably be able to find Colby longhorn locally. That looks like muesnster. Does it taste like it and melt like it too! 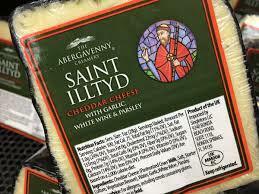 went back to Tj's , to ask about the Saint Iiltyd cheese. thought Id get a few more and Fz for the tomato season. its seasonal at TJ's , and the season started in late Oct here , ' 18. Ill have to settle for HomeRipenedBrie. I am afraid I have never tasted Muesnster so I cannot compare but will add it to my list! I have rarely, if ever, met a cheese I didn't like, albeit some took a lot longer to warm up to. But if I had to pick two I couldn't live without, I guess they'd be Parmigiano and a good extra sharp Cheddar. But damn, I hope I don't ever have to cut down to that. It makes a delightfully gooey grilled cheese sandwich. It's a lot milder than Munster; the flavour's more similar to a mild Saint Nectaire. I think the orange skin is artificial, rather than the washed rind of an orange Munster or Epoisse. Yes I think you are right there. Thanks for the recommendations! I feel they may have to wait until I am next in "proper" civilisation, I have found one online supplier for the Saint Nectaire and they wouldn't deliver this rural and no luck with the Tomme De Savoie, but a trip to the big smoke is not that far off. Until then one can dream of cheeses. Spotlight means its going to be gone soon. I like double /tripple creme cheese , that are very full flavored. and home-age it in a kitchen cabinet. in the winter time , my kitchen is ' cool ' 55 F during the day ? you see I have a wood-stove in another room. I might have been influenced by the orange in the rind. with signs of much more flavor to come. I do know I might be able to buy it else where , but at 2 x the price ? Im pleased I have the two ' bulging Brie's ' from Tj's that they seem to carry all the time. 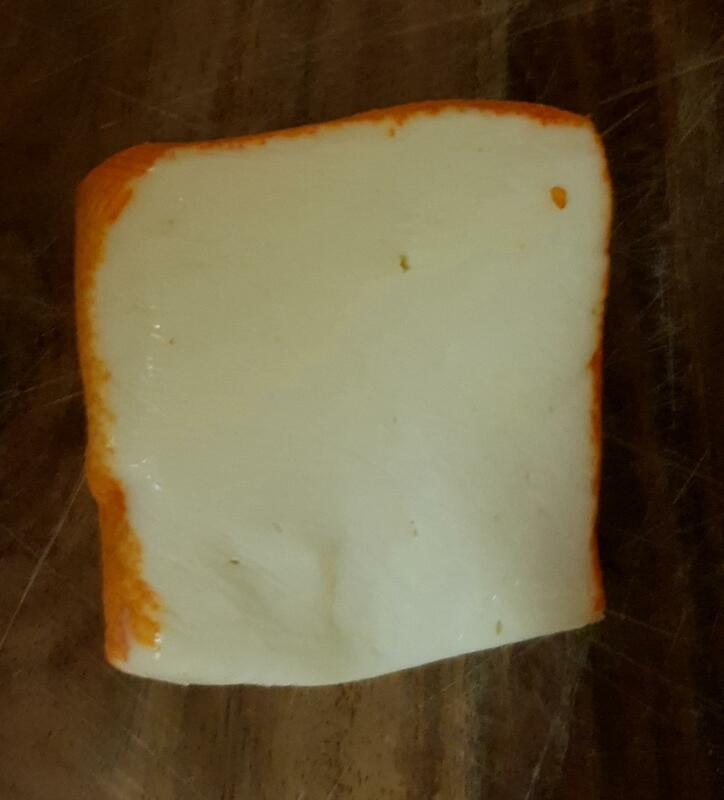 Mexican cheeses are too mild for us. Sharper cheeses are imports and can be pricey. However, goats abound in Mexico and goat cheese is cheap, local and varied by both aging and flavorings. I am cooking more with goat cheese than I thought possible. My go-to quesadillas include chicken al carbon from a local stand with the accompanying onions and peppers and whatever goat cheese is in my fridge. I toast the filled flour tortillas on my gas grill until the goat cheese is warm and soft....that's lonche! While I am usually firmly in the camp of 'no cheese with seafood,' goat cheese on top of grilled shrimp served over fresh pasta with just a drizzle of olive oil and blistered cherry tomatoes and fresh basil, works for us.